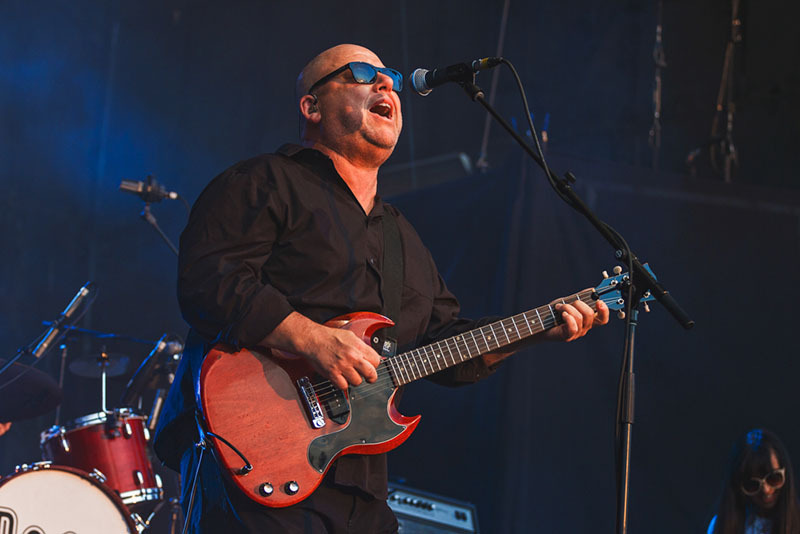 Black Francis takes us into the third song of the night with “U-Mass,” a song about his time dropping out of college. Fifteen years ago, Weezer were in the process of recording their Make Believe album with the hit single “Beverly Hills” set to hit the nearest Media Play in 2005. 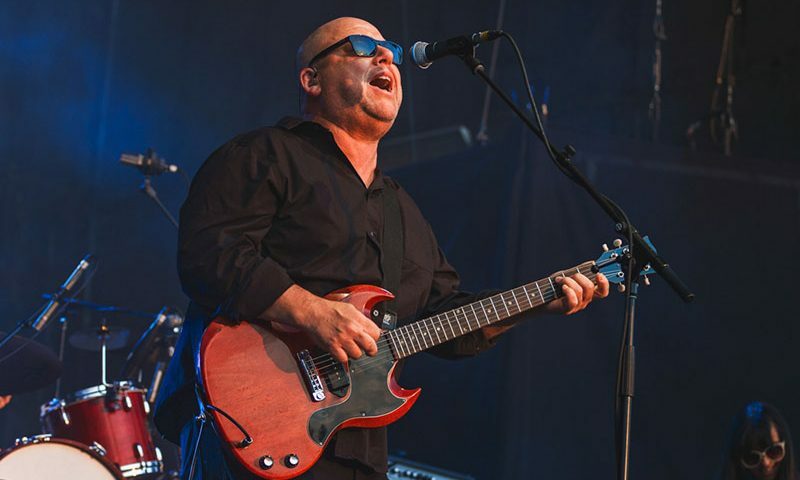 The Pixies were just coming back together after a bad break-up that lasted for over a decade and I was reaching the peak of my music-induced teenage years. Now, at 30 years of age I found myself merely feet away from the bands that I grew up listening to—ready to capture them onstage in all their glory. 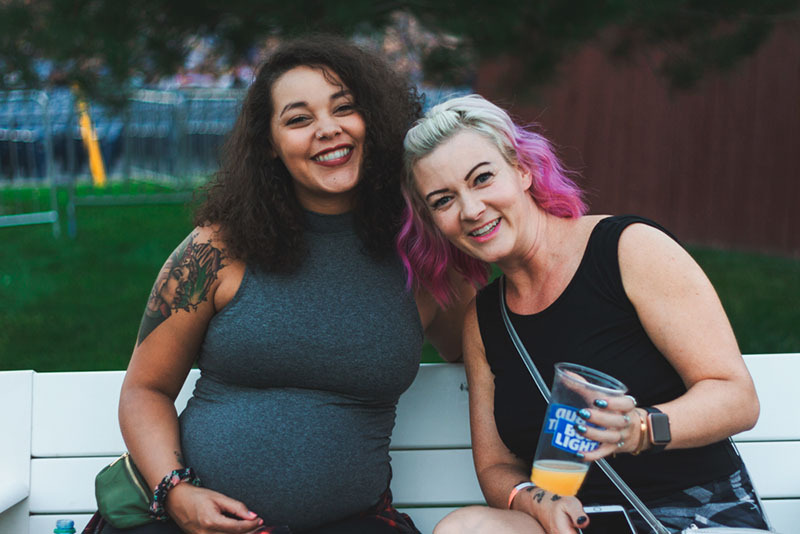 As the sun began to set over USANA and Sleigh Bells having left the stage after an incredible opening set, I found myself sandwiched between a riptide of diehard fans and the music legends they came to hear. With a four-foot metal gate and two security guards watching from 50 feet away, I fear that the euphoria of seeing The Pixies play live might remove all sense of self control from the crowd—causing them to break through the gate and rush the stage, leaving me as a pile of human flesh embedded with broken bits of camera. 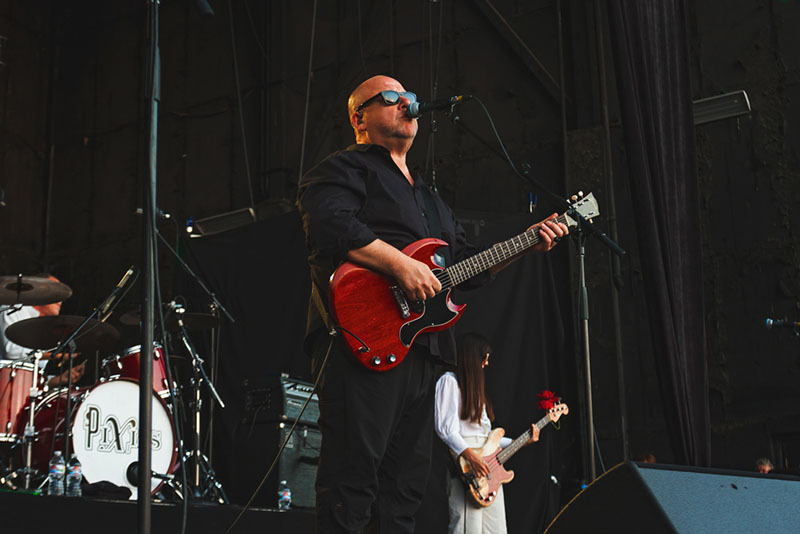 I take a deep breath and watch the crowd through my peripherals as Black Francis emerges from the shadows followed swiftly by Joey Santiago, David Loverling and Paz Lenchantin. 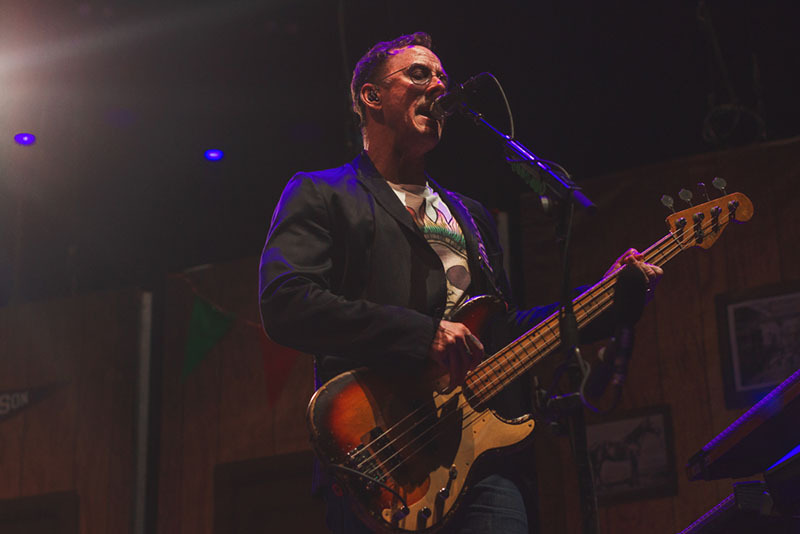 With the strum of the first note, the crowd has all but lost their minds; I breathe out and get back to work. “Gouge Away” is the first song of the night with a slow and steady bass line pouring out of the speakers. 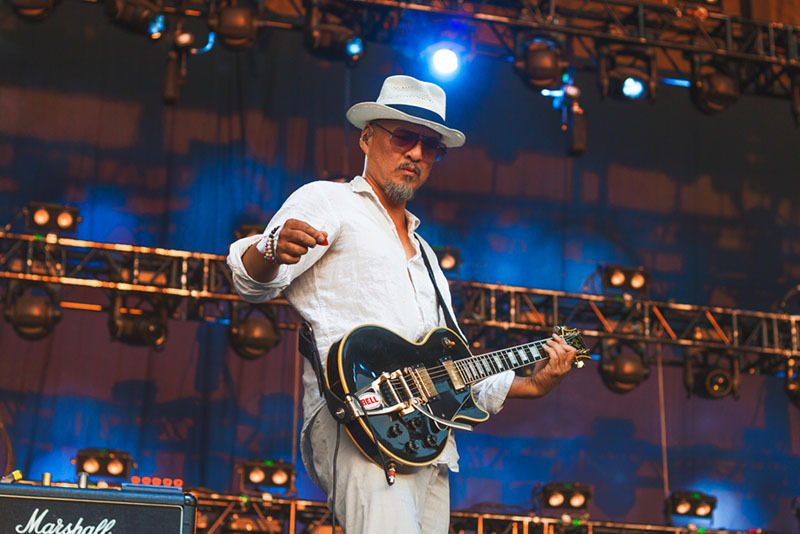 No doubt, this was a methodical choice by the band, as the rhythm helps to set the tone for the rest of their set. 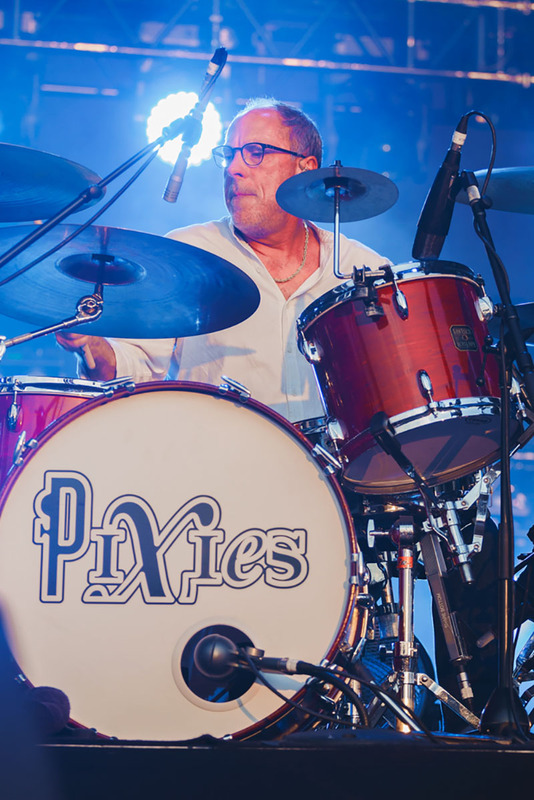 The Pixies are known for their ability to transition from a soft, steady tone to a loud grungy melody with no middle ground for a moderate buildup—and tonight was a case study in The Pixies’ unique style. Next up on the agenda was “Wave of Mutilation,” a song that, in my opinion, has desperately needed to distance itself from the world of the Guitar Hero set list and return to its rightful glory as a deeply surrealist piece of work that could easily be the one and only song on a Salvador Dali biopic soundtrack. After we steadied our minds from the calming allure of the aforementioned song, we reached the end of my three-song photographic journey with “U-Mass.” It seems appropriate to hear “U-Mass” as a last song to photograph, seeing as how it was part of the bands final record before their decade-long breakup. As they returned to the spotlight many years after debuting that song, so did I with all my love for things grungy and punk rock. I can’t help but see Johnny Ramone’s soul take over Black Francis as he plays through this categorically defined punk rock piece of music. 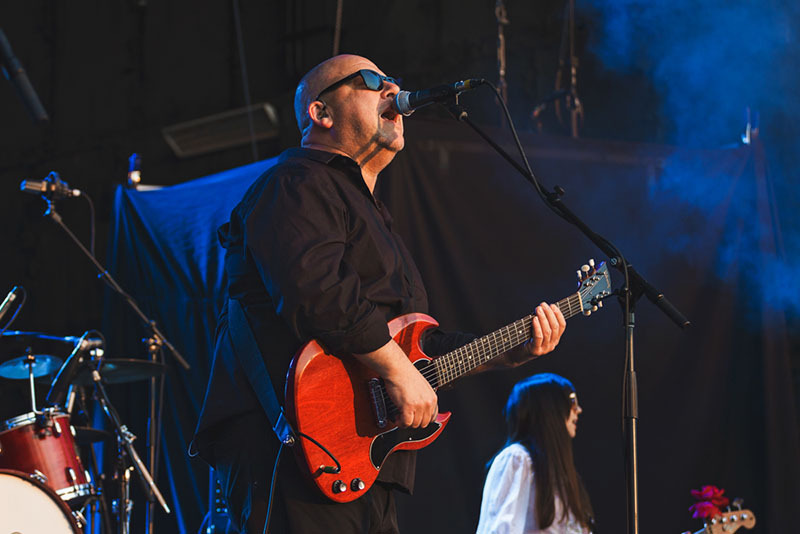 The Pixies will forever stand the test of time, and Wednesday night was a definitive proof of that concept as both young and old fans came out in unison to sing-a-long in solidarity with the band’s trials and tribulations that they have overcome throughout the decades. 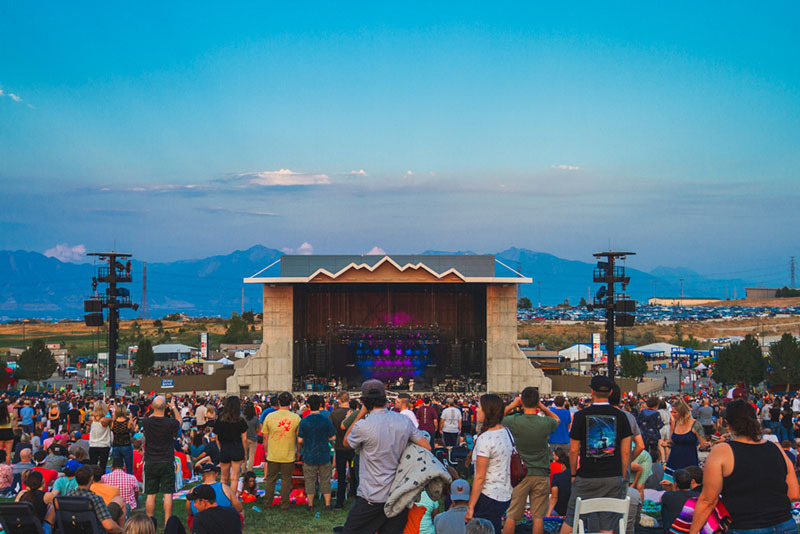 As they closed out their set and the smoggy, smoke filled air cast a glorious sunset over the amphitheater, we all watched and waited patiently as Weezer prepared to take us into the night. Ever since The Blue Album, they have dug their hooks into me and never let go. 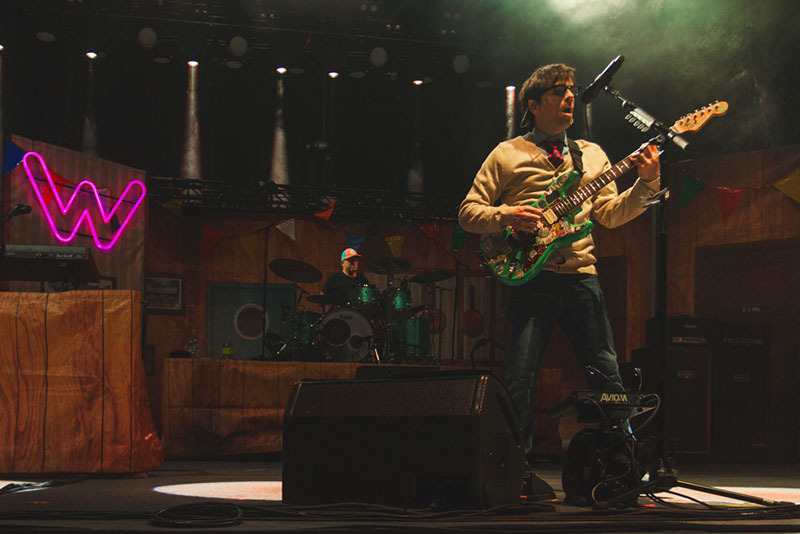 For many people, Weezer have been such a generation-defining band. For me personally, their style and lyrics helped awaken a weirdness in me that I’ve reveled in since I first hit play on my portable compact disc player way back when. 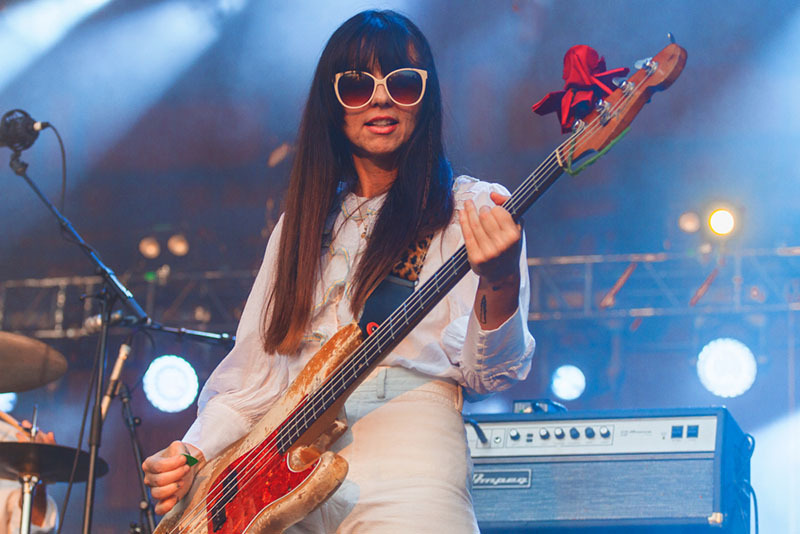 Weezer’s sound can only be described as if the Beach Boys had a secret love child with Green Day and was raised by the original members of Kiss. 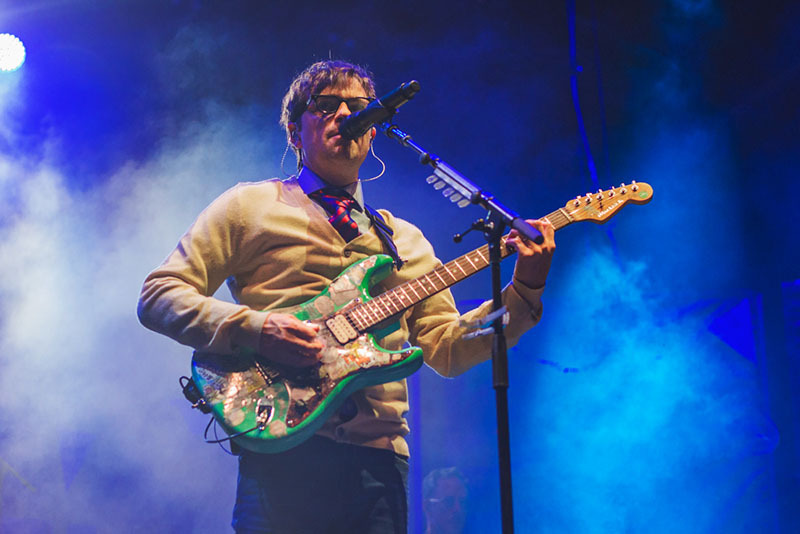 What is important to note is that while their songs may deal with obscure and comedic ideas, they often stem from very real life, sometimes dark experiences that Rivers Cuomo had overcome growing up. It is for this reason that their pairing with The Pixies for this tour makes absolute perfect sense. 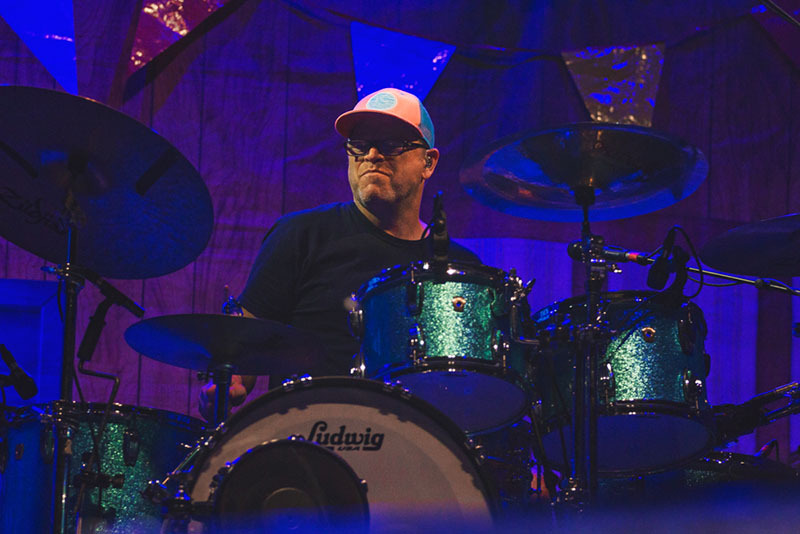 Starting off their set on Wednesday night, Weezer performed “Buddy Holly,” a picture-perfect opener to the start the party that is Weezer. From the moment that “What’s with these homies dissin’ my girl?” comes blaring out of the speakers, the once statue-esque crowd is jolted to life. Bodies begin flying around, confetti burst out of hidden cannons on the sides of the stage and a feeling of all around euphoria seeps into the bones of everyone in attendance. 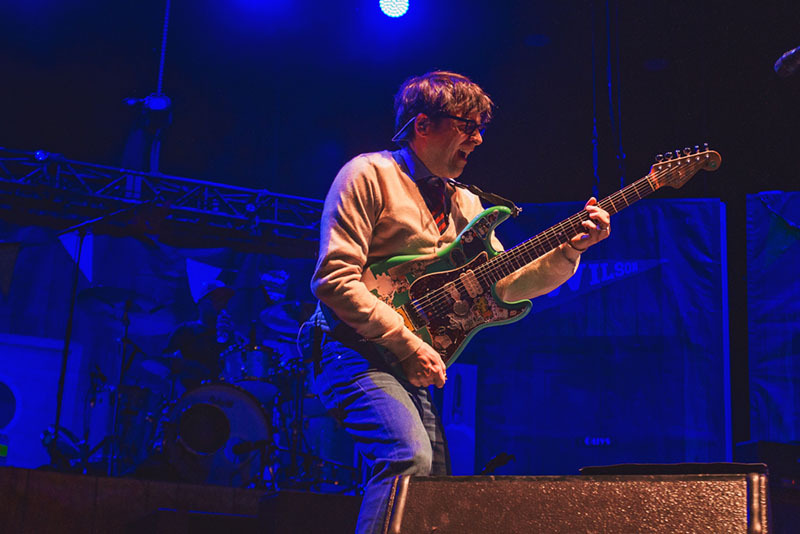 Weezer took us on a chronological journey starting with The Blue Album transitioning to Make Believe by playing “Beverly Hills,” then completing my three song access by playing “Pork and Beans” from The Red Album. 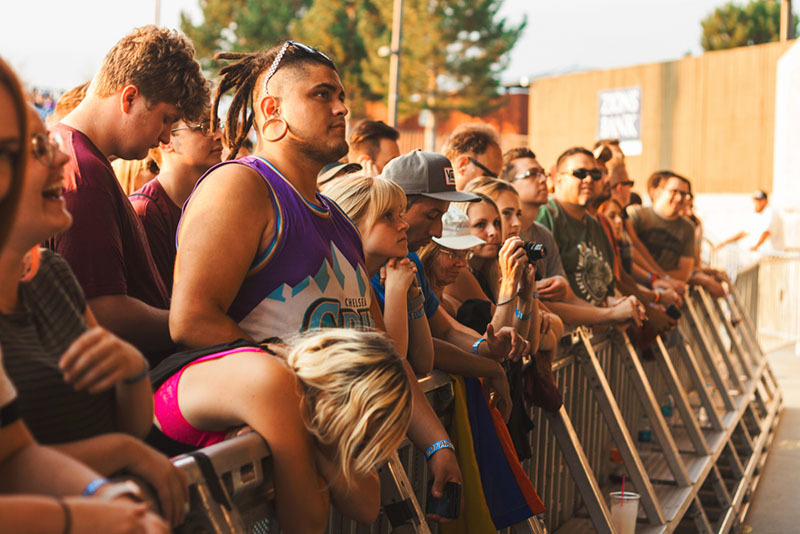 With my time in the photo pit quickly coming to an end, I take one last breath and soak in the moment before I am escorted out of my cozy pocket between the crowd and the stage and forced to join the masses as a regular civilian. As I begin the process of assimilation back to life as a regular concert goer, “The Sweater Song” begins to play and all is right in the world. The crowd waits patiently for The Pixies to take the stage and melt their brains. 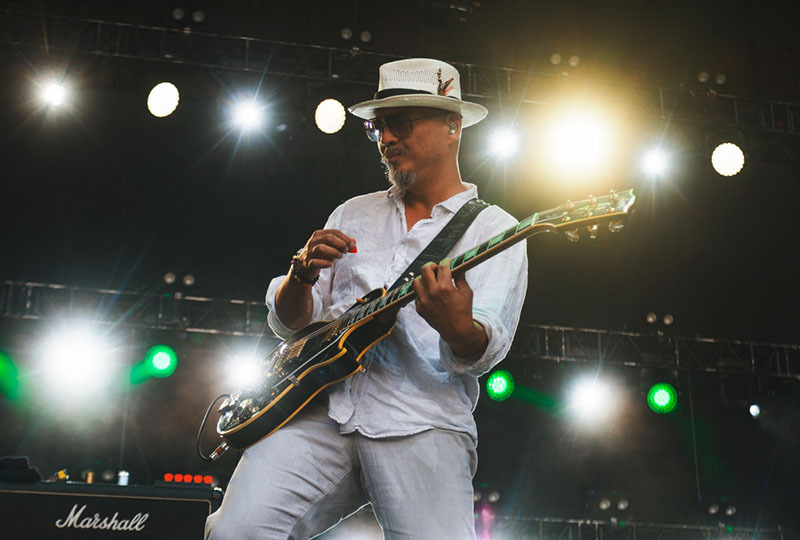 Joey Santiago looks out at the ocean of people who packed into USANA on Wednesday night. Joey Santiago looks out at the ocean of people that packed into USANA on Wednesday night. 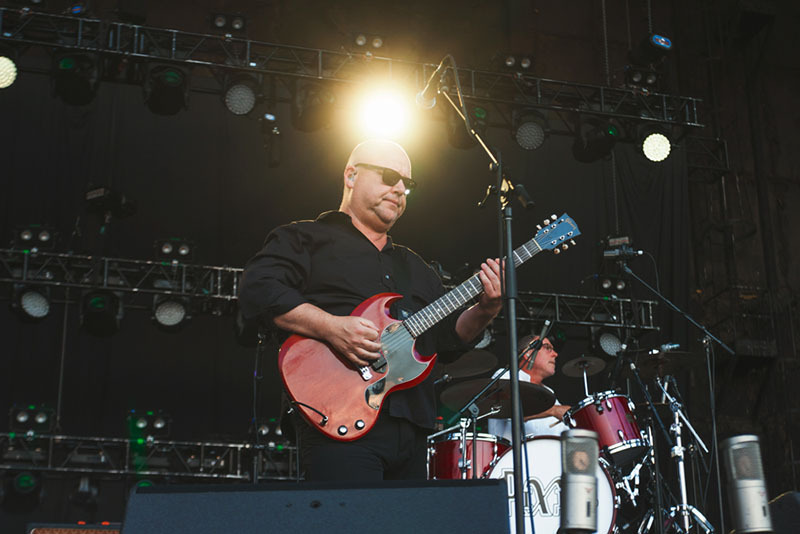 Black Francis returns to Salt Lake with a huge welcome from the crowd. 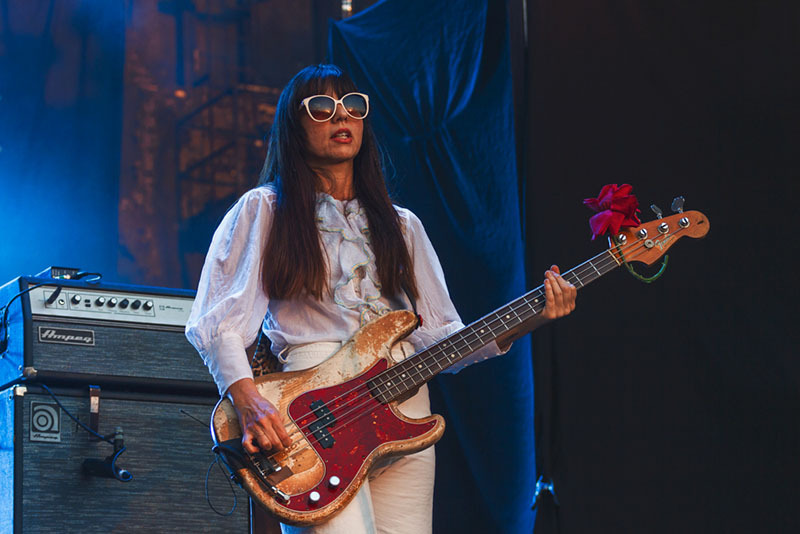 Paz Lenchantin may have only been with The Pixies for four years, but in that time, she has managed to add her own style and flair to the bass lines. 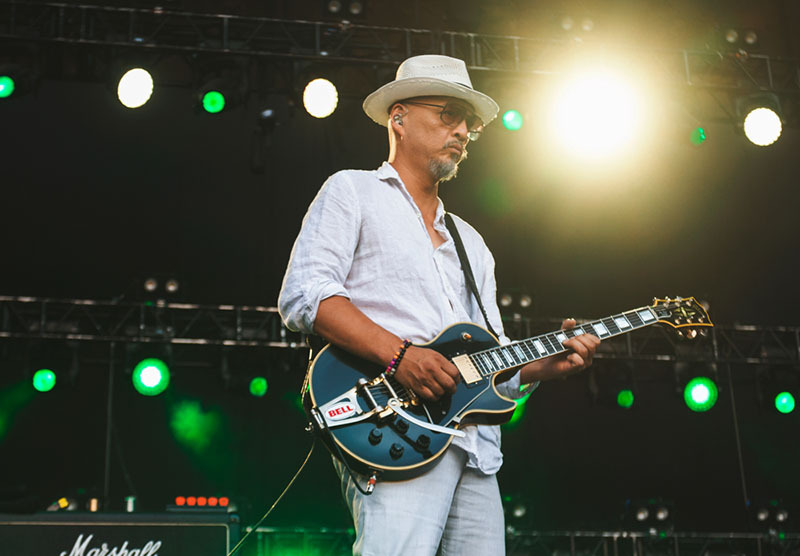 As “Gouge Away” takes to the chorus, Joey Santiago comes to life. 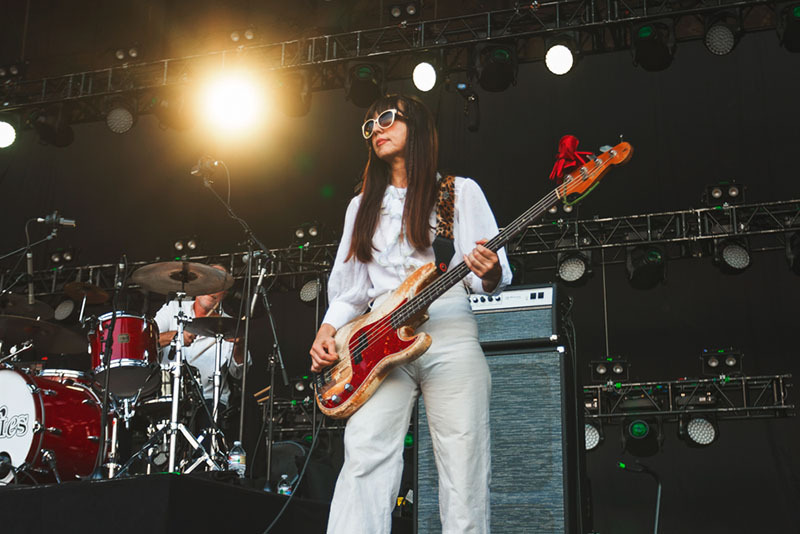 Paz Lenchantin keeps rockin the shades as the sunset blinds the stage. 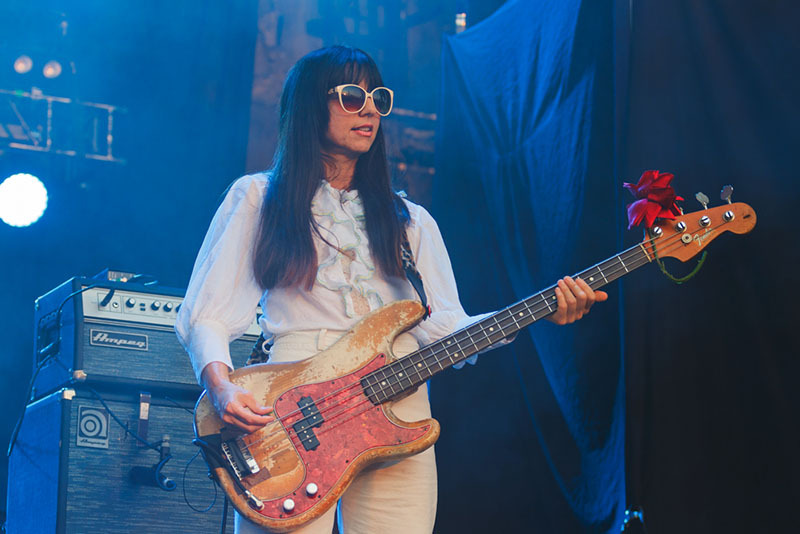 Paz Lenchantin’s unique elements shine as she plays. 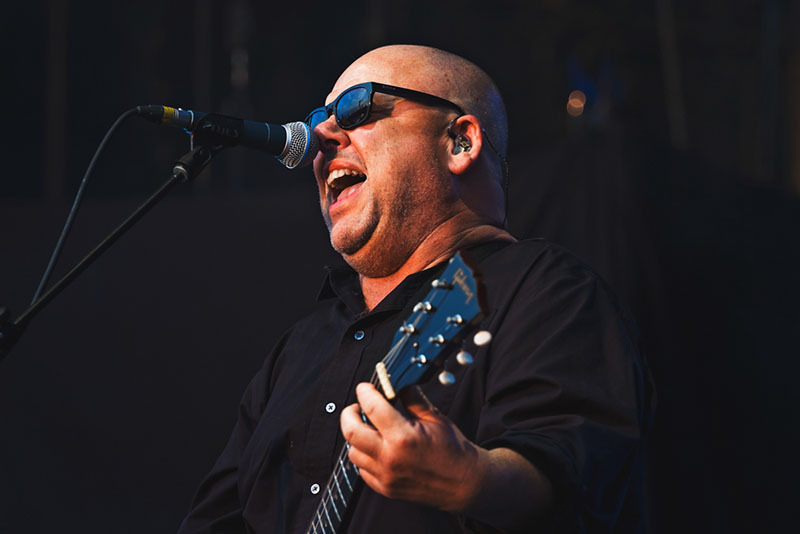 Black Francis belts out the chorus to “U-Mass” with every ounce of breath he has left. 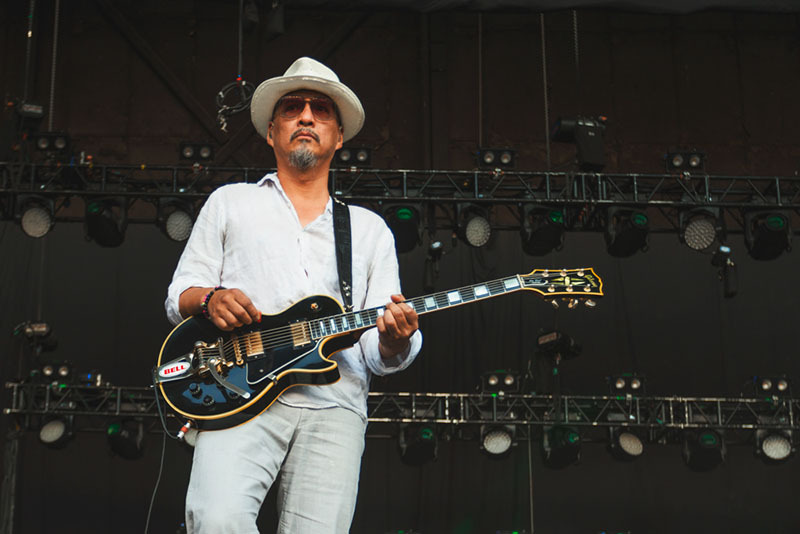 Joey Santiago is right at home on USANA’s stage in Salt Lake City. 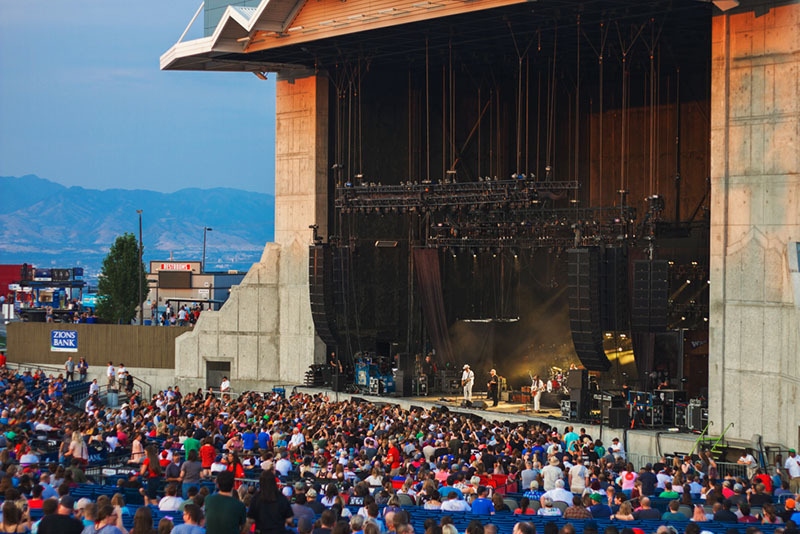 Nestled against the mountainous backdrop, USANA proves to be the perfect host for Weezer and The Pixies. The crowds filled up all the way to the back lawn. 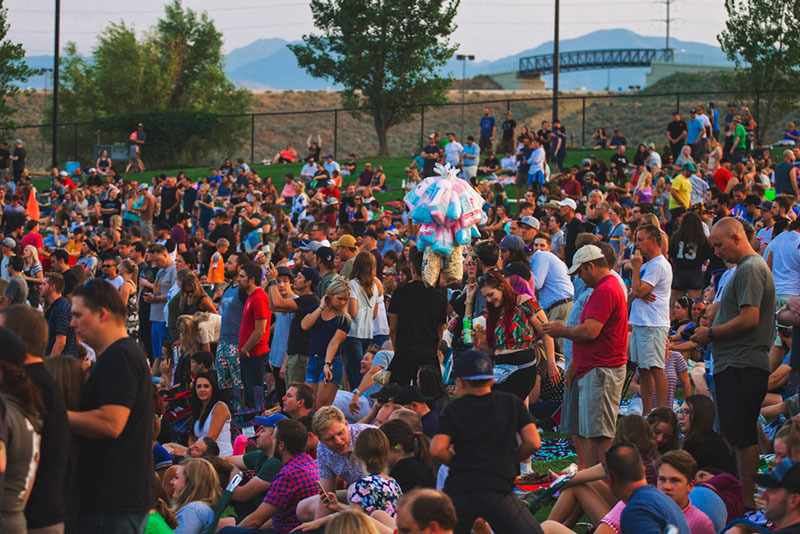 Almost every square foot of space was occupied by some Weezer and Pixies loving-fan. 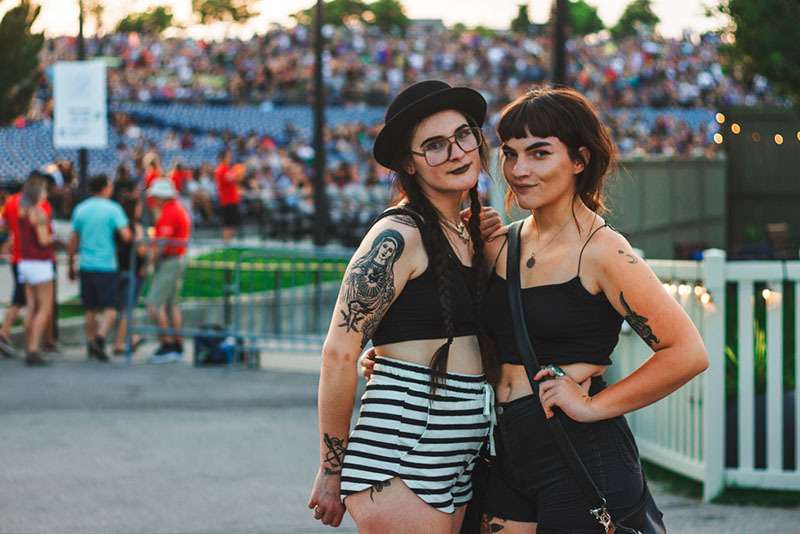 (L–R) Brooke and McKenna came out to show their Pixies love on Wednesday night. 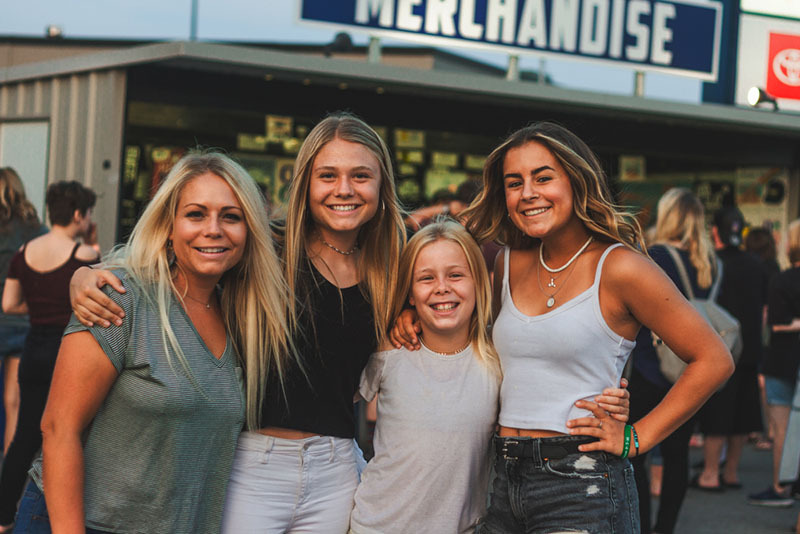 (L–R) Brittany, Rylee, Kameron and Kalea comprise two generations of Weezers fans. 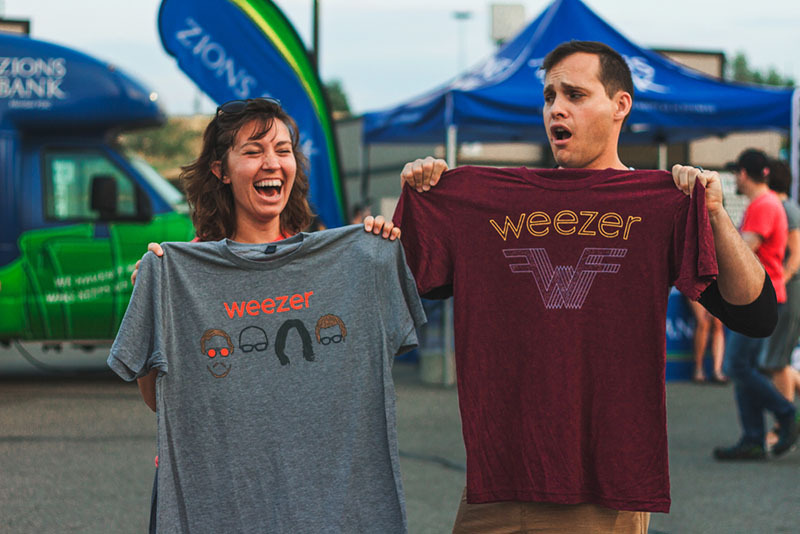 (L–R) Celeste and Daniel Lundell rock the Weezer swag. (L–R) Kendall Henderson and Meghan Honey take a break from the festivities to enjoy the music from the bench. 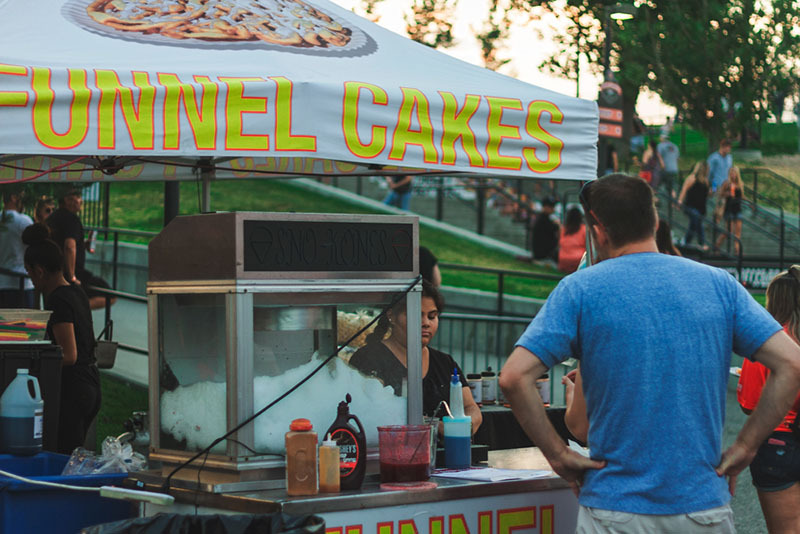 What’s a good concert without something deep fried shoved into your face hole? 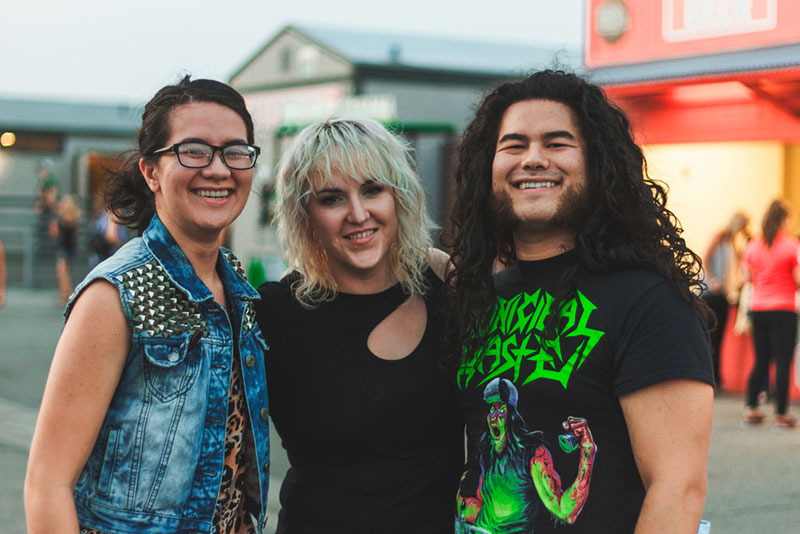 (L–R) Alysse, Samantha and Robert Gray are all part of the Salt Lake Association of Music Merchants (SLAMM), who are hosting a guitar-building competition on Aug. 18. 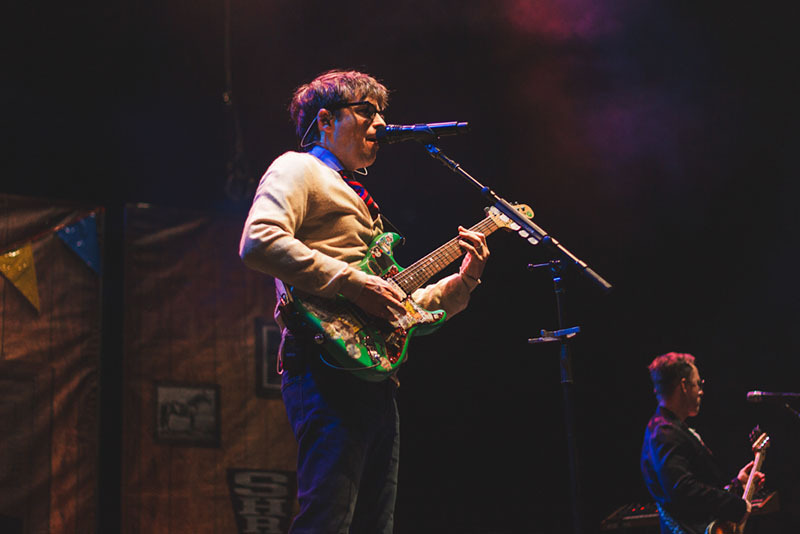 Weezer frontman Rivers Cuomo opens the night with a groundbreaking rendition of Buddy Holly. 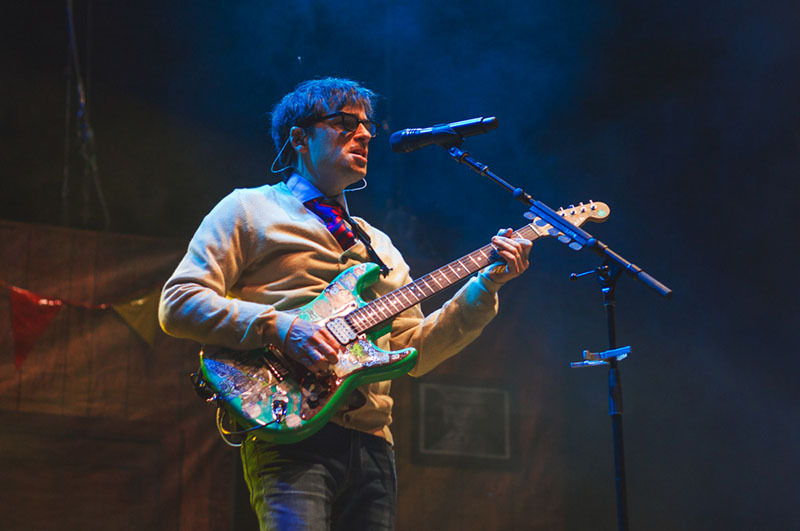 Rivers Cuomo is always dressed to the nines while performing with Weezer. 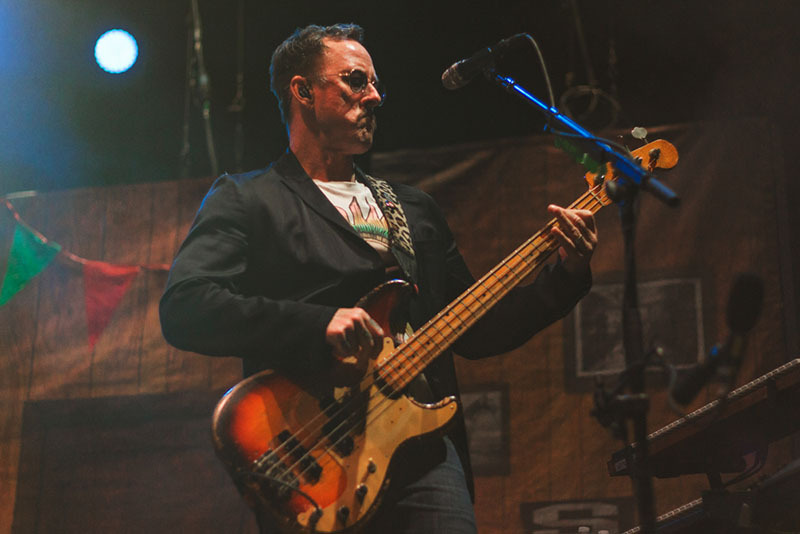 Scott Shriner gives that bass face while performing Buddy Holly. 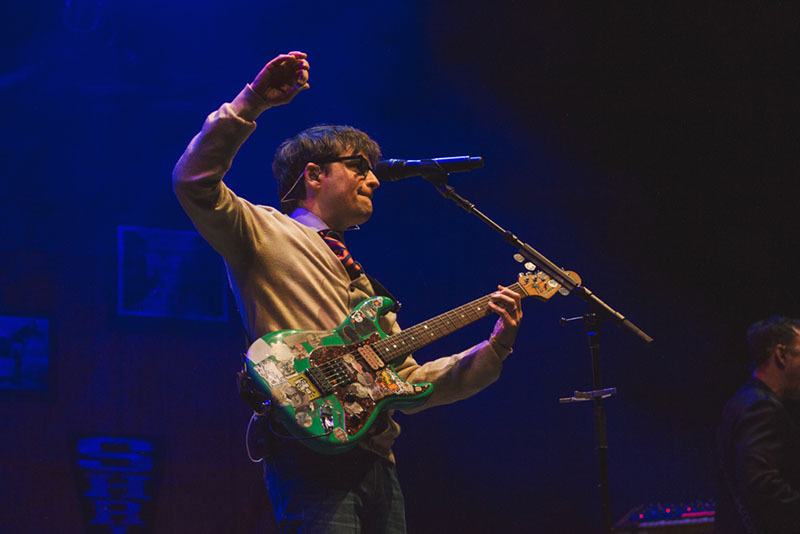 Rivers Cuomo has been an icon for nerds who like rock music everywhere. 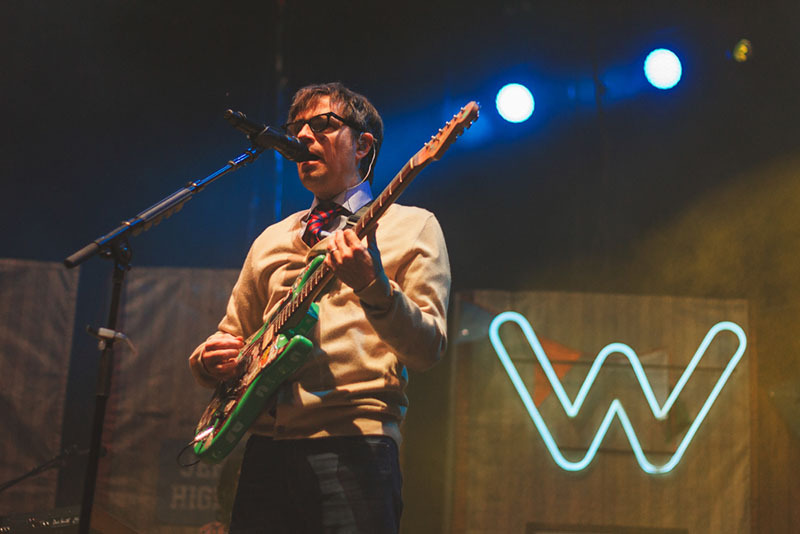 Weezer’s Rivers Cuomo moves on to “Beverly Hills” for their second song of the night. 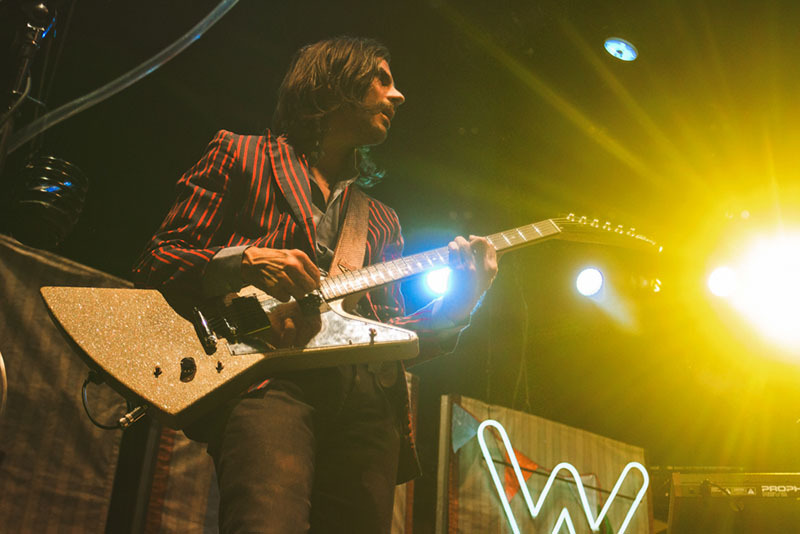 Brian Bell looks over to Cuomo while performing “Beverly Hills” with Weezer. 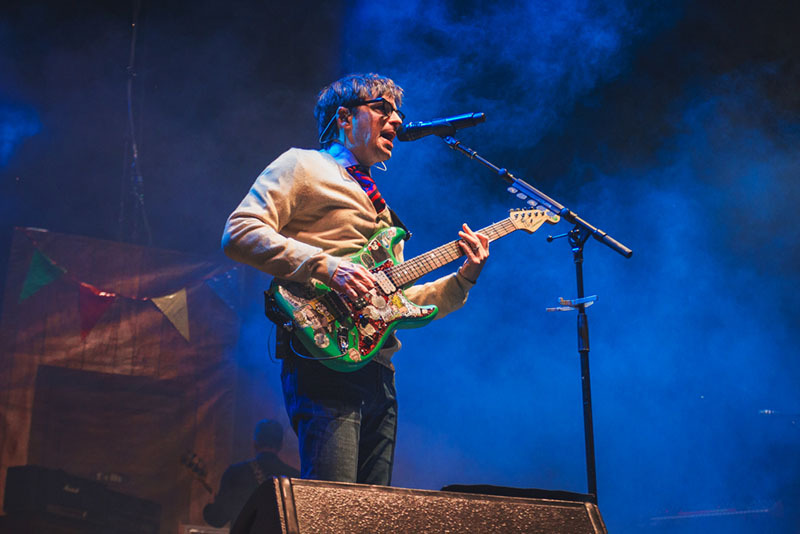 Weezer frontman Rivers Cuomo has been the creative genius behind so many of the bands hit songs for decades. Ending “Beverly Hills” on a high note, Rivers Cuomo raises his pic in the air. 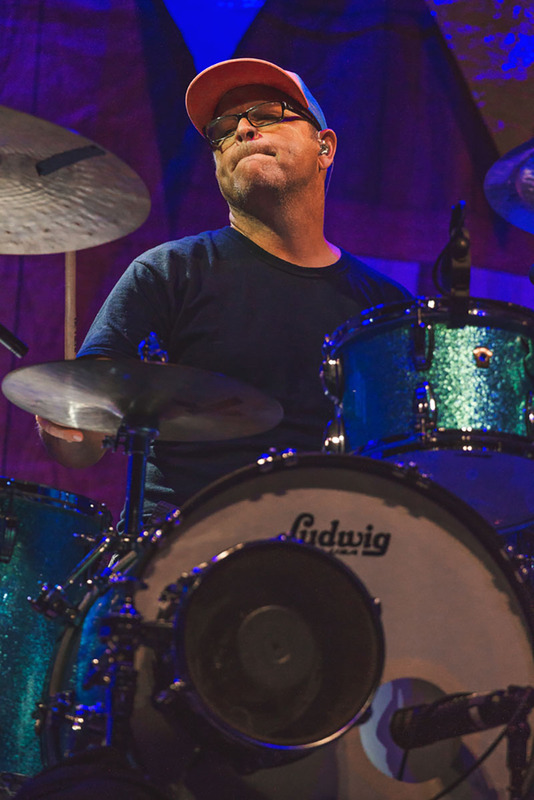 Besides Rivers Cuomo, Patrick Wilson is the only member to be with the band since their inception. 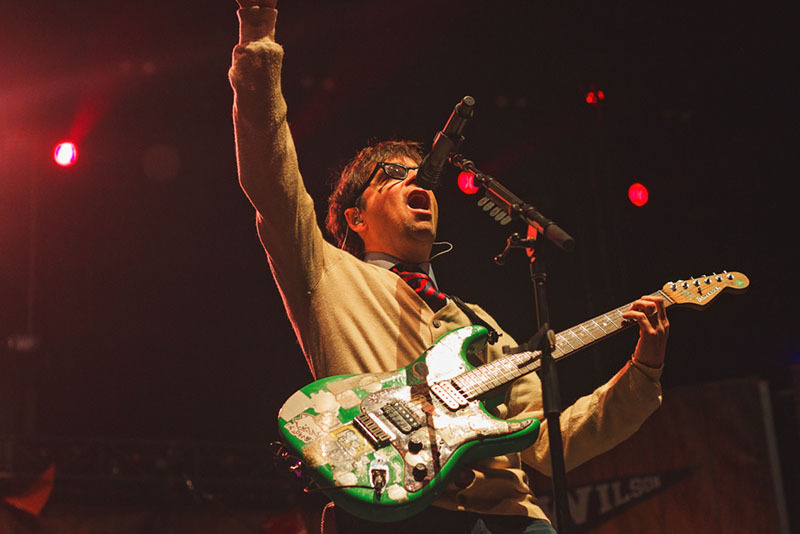 Rivers Cuomo still knows how to get the crowd fired up. 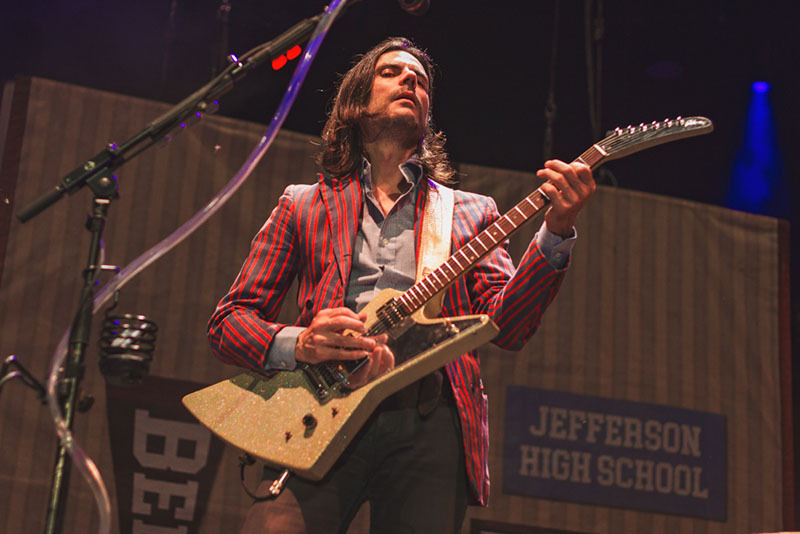 Brian Bell gives a suspicious look towards the camera. 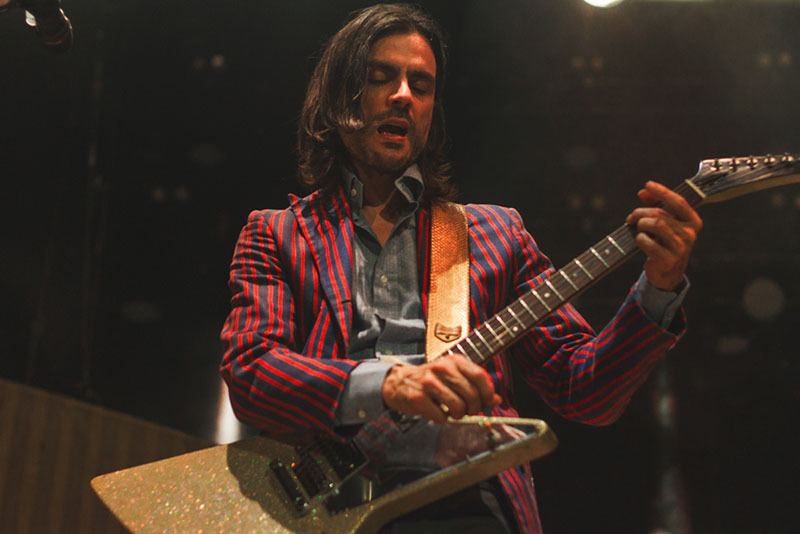 Brian Bell gets lost in the moment while performing Undone – The Sweater Song. 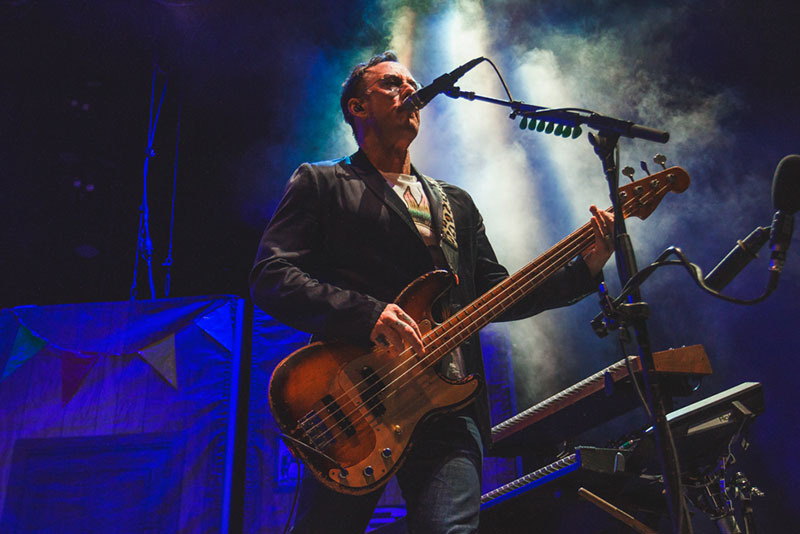 Scott Shriner gives us a killer bass performance as they begin to transition into their next song of the night.